MLA or the Modern Language Association is a writing format that is used to write papers and while citing sources in humanities and liberal arts. 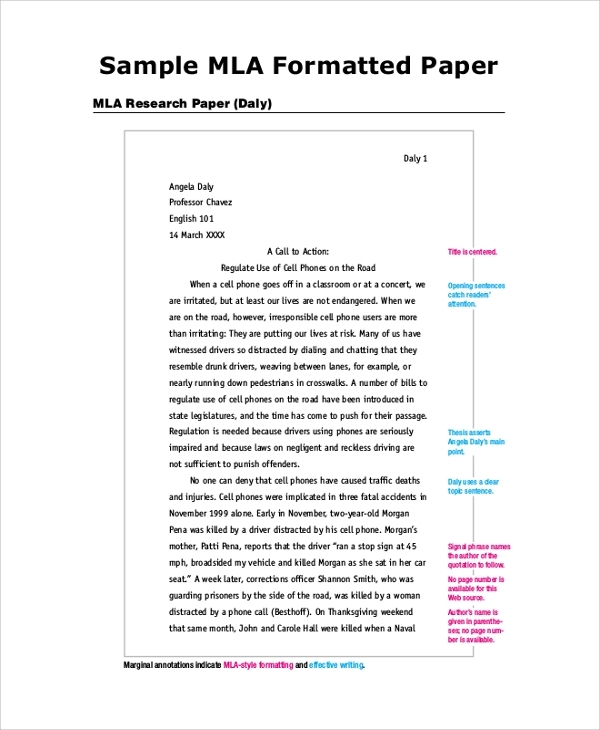 MLA was developed by scholars and teachers to come up with a standard way of formatting papers and citing sources. The format has been in use for a quite a while and it has become very popular among college students and scholars. 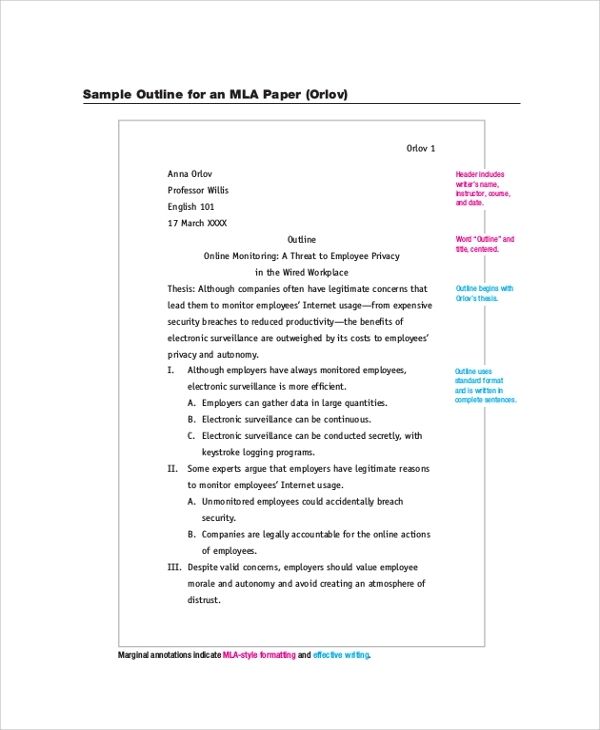 In this post, we have reviewed some of the MLA Outline Samples that can be used while you want to format and site your papers. 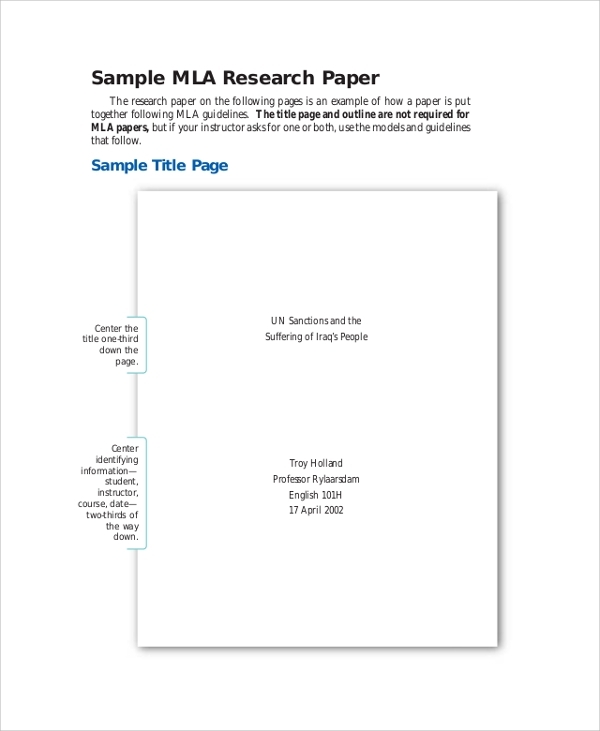 This is a template used to give users an overview of how an MLA paper should be formatted. This sample can be downloaded and be customized to suit the needs of the users. The sample doesn’t cover only the format but also the citing and the writing style. 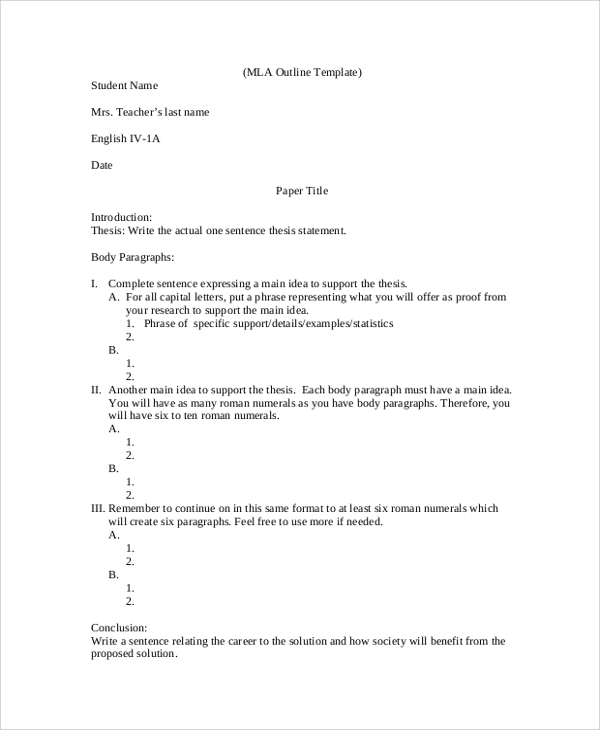 This is a sample outline of a thesis research paper. It is used by the scholars and students to ensure that they have followed the standard MLA format and style for their thesis. The sample can be downloaded for use as a guide from our site for free. This is a just a sample that outlines the style and format of the MLA. It can be used by researchers to prepare their research report, student to prepare their papers or the scholars. It can be downloaded in MS Word format for free. What is an Outline for a Speech? A speech outline helps the writer or the person preparing the speech to know how to write their speech. This includes what elements that should be included in the speech, the specific format they should follow and the style of writing the speech. The outline for a speech is a like a sample speech that is used by people as a reference while preparing a speech. The speech outline can be in either MLA format or in APA format depending on where its going to be used. There are various Speech Outline Samples online that are freely accessible and customizable. What is the Credibility Statement in a Speech? A credibility statement is a statement that is used by the speaker to prove he has got it all that it takes to be the one giving the speech. It is used to show his/her qualifications that make him/her eligible for the spot. Usually, the credibility statement appears at the beginning of the speech for the listeners to easily recognize the speaker and why he/she is in the position. The credibility statement also shows why you have the understanding of the topic and why the audience should listen to you and not listen to another speaker. Why is a Speech Outline Important? A speech outline is important because it guides the speaker on how to organize their points. With a great outline, getting the audience’s attention is easy since you give them one point at a time. The Essay Outline is also important since it ensures no important point that should appear in the speech is left out. There are various speech outlines on the internet and if you are preparing a speech, you should try one and make the process of the speech preparation easier. Whenever preparing a speech, having a speech outline should be a prerequisite. MLA format has become so common among scholars and students today. 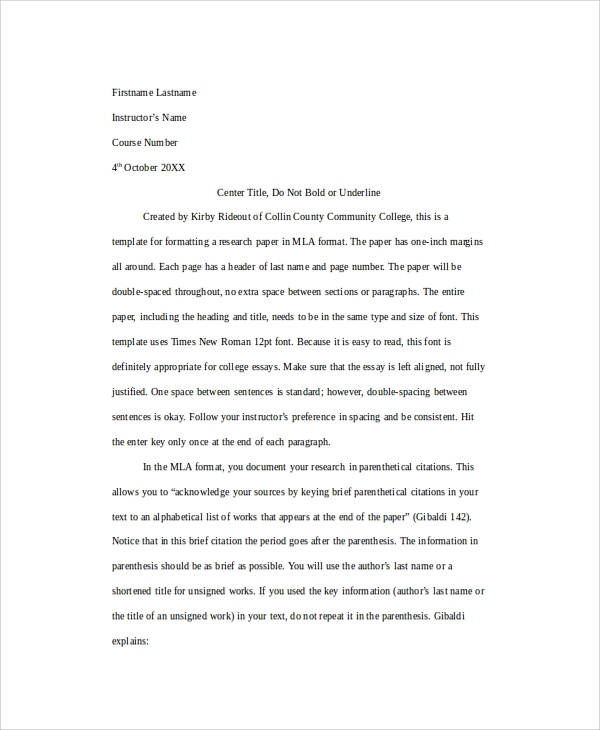 Having a sample to guide while preparing an MLA styled paper is recommended since it assures you of having a complete and properly formatted paper. 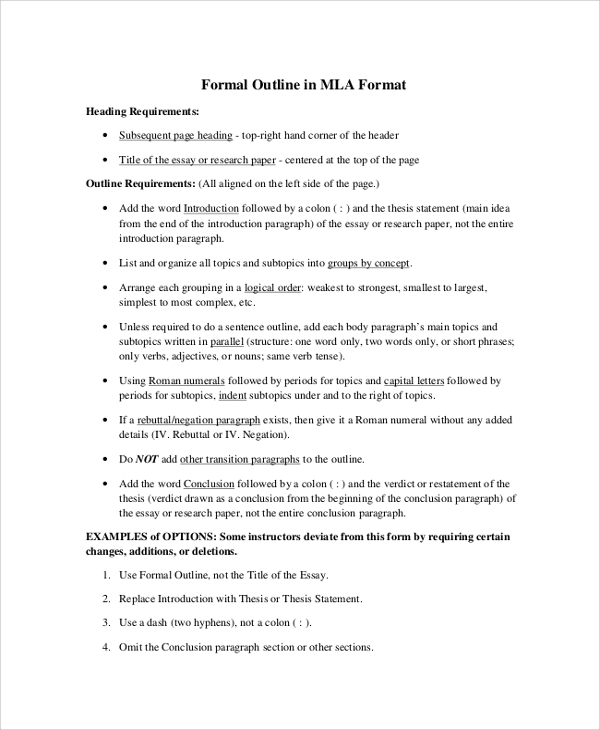 Samples and outlines of MLA format can be found online for free download.